Christmas came early! 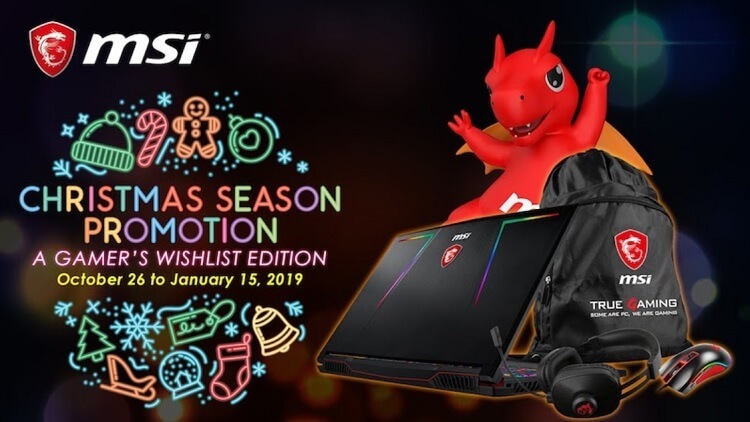 MSI has announced its holiday season promo, where its gaming laptops go on sale and will come with cool freebies. If you’re a gamer on a budget and is looking for an entry-level gaming laptop, MSI has good news for you. 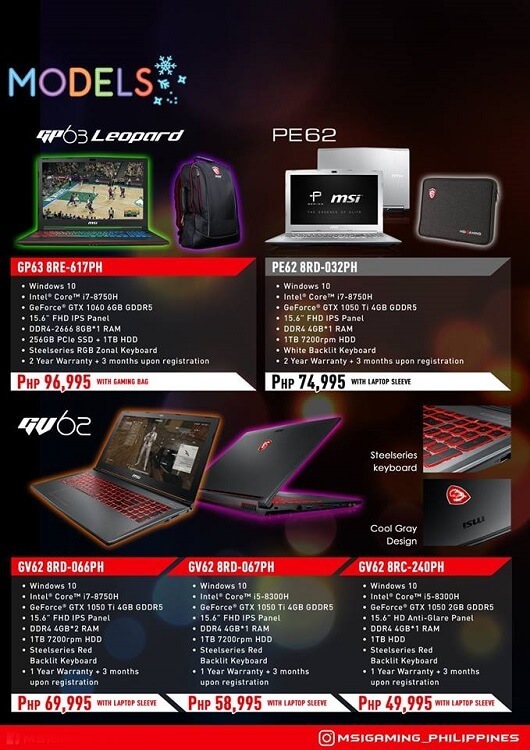 Its PL62 7RC-23PH is offered for only Php39,995 and will come with free Targus Mouse, Targus Bag, and laptop sleeve. 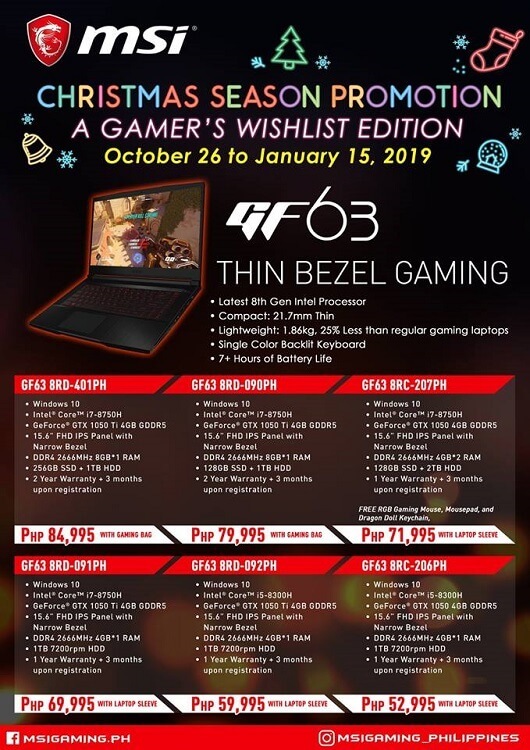 The GF series, on the other hand, is tagged for as low as Php52,995. Freebies include gaming bag and laptop sleeve. At this price point, you can score an Intel Core i5-device with GTX 1050 graphics. 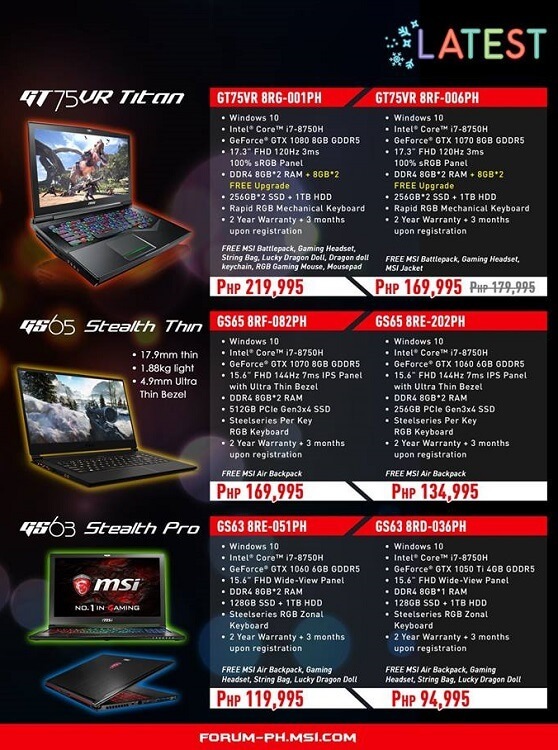 For its premium gaming laptops, the MSI GE line also joined the promo. You can score a device starting at Php119,995. Freebies include MSI Gaming Headset, MSI String Bag, and Lucky Dragon Doll. 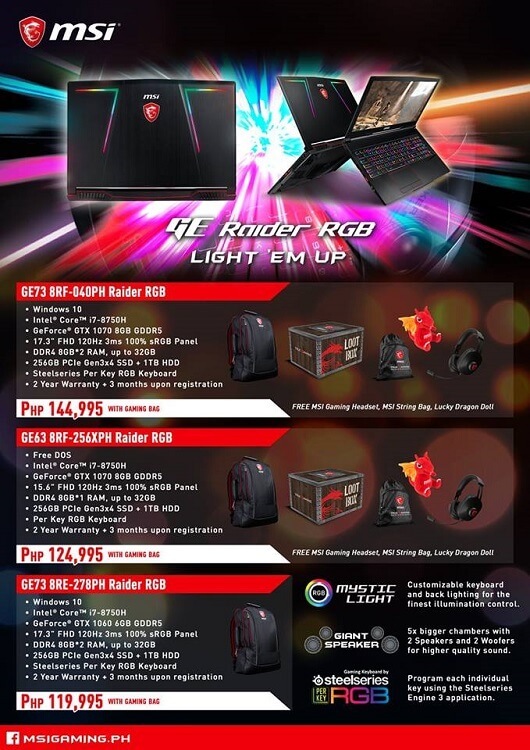 MSI’s Christmas Season promo runs until January 15, 2019. Who’s interested? For more information, please visit MSI Gaming’s official Facebook page.